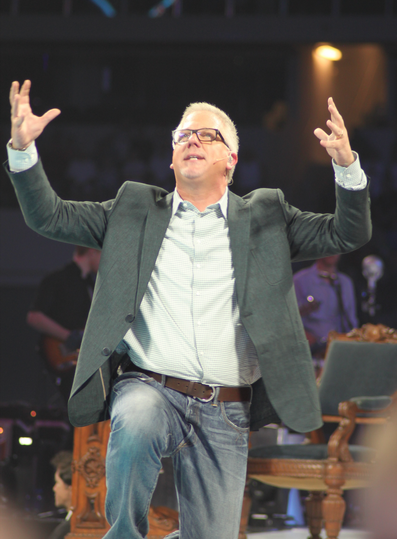 Excerpted from THE BLAZE: On Saturday evening, Glenn Beck delivered what is, arguably, his most moving and impactful address to date. His “Restoring Love” speech, accompanied by symphonic music, touched upon service, worship and the elements needed to move America forward. Beck opened by addressing the hard work and dedication that thousands of “Restoring Love” volunteers engaged in when they helped those in need at locations across Dallas, Texas, on Thursday. Beck went on to praise the audience for serving the poor, elderly and others in great need, claiming that these caring individuals served as a “shelter from the storm” for the downtrodden. The popular commentator also encouraged the audience to make service more than a one-time occurrence. The nation that allows for such wonderful liberties to be enjoyed was inherited by this generation from those who came before us, he said. Beck went on to say that the current generation cannot be blamed for the mistakes of the past, nor can it be credited for the successes that came before. The powerful address continued, urging the audience to fight for America’s future. 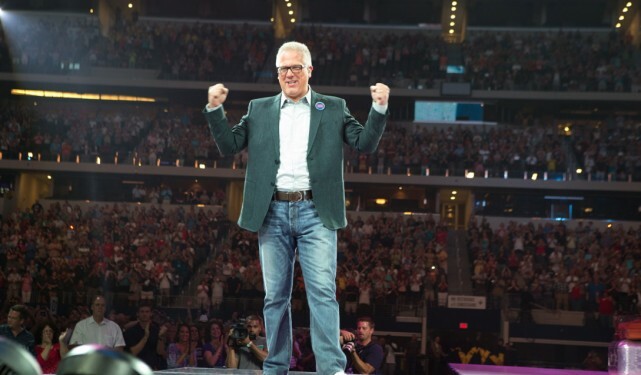 The popular radio and television host had a challenge for those watching: Rather than taking a back seat, he pushed everyone to “act,” “commit” and “shape the future.” The end goal? The make the nation better than it is today. He asked the audience to consider which camp they fall into – the one that likes to be pushed or the one that is consistently pushing itself forward. “He and millions like him pushed…they pushed and they pushed uphill. They pushed and they were pushed back by water cannons. They pushed and they were pushed back by billy clubs and tear gas. They pushed and they were pushed back on the bridge at Selma. They pushed and they were pushed off the bus in Montgomery.